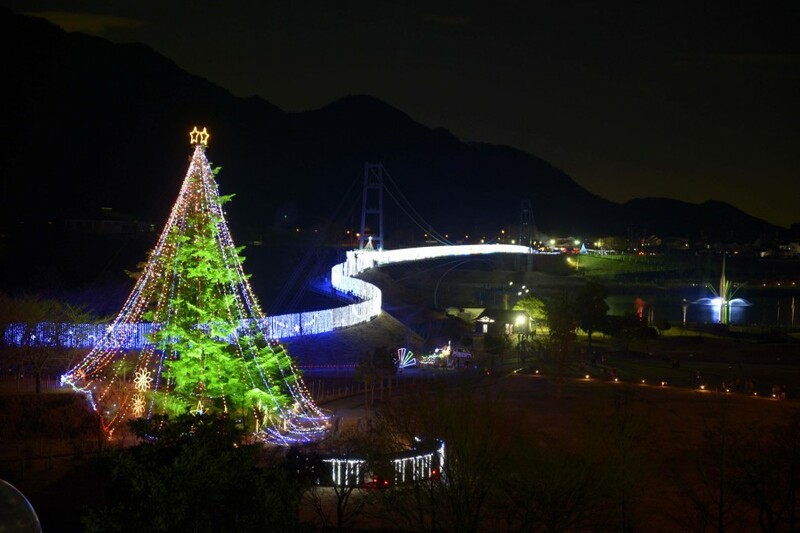 A large-scale Christmas tree that stands on the lakeside. About 250,000 to 300,000 visitors will come to see the Christma tree every year. 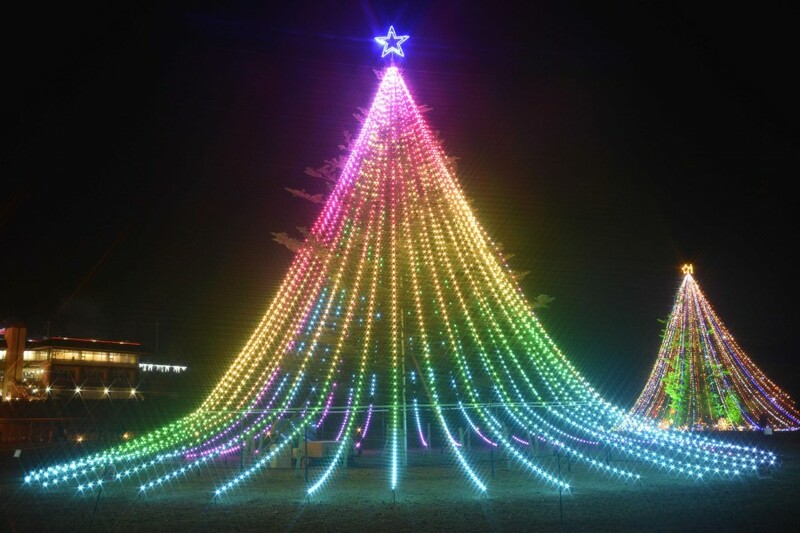 The tree is decorated with about 10,000 lights. 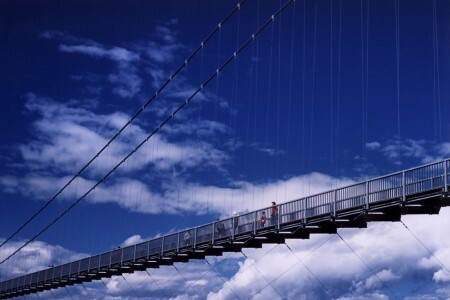 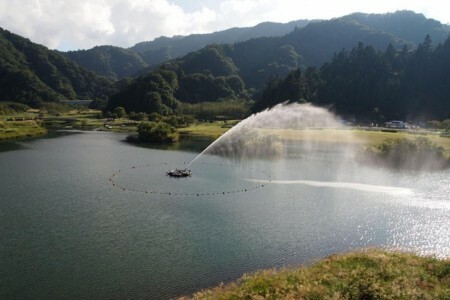 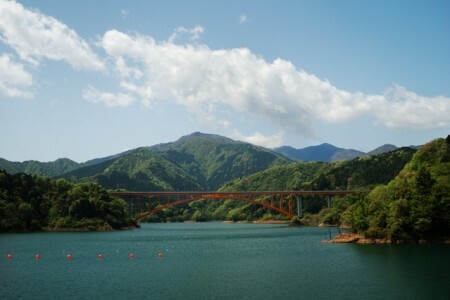 Largest dam in the metropolitan area and has an area of about 4.6 km2 (approximately 100 Tokyo Dome).